This is #9 in my series of daily watercolor paintings. 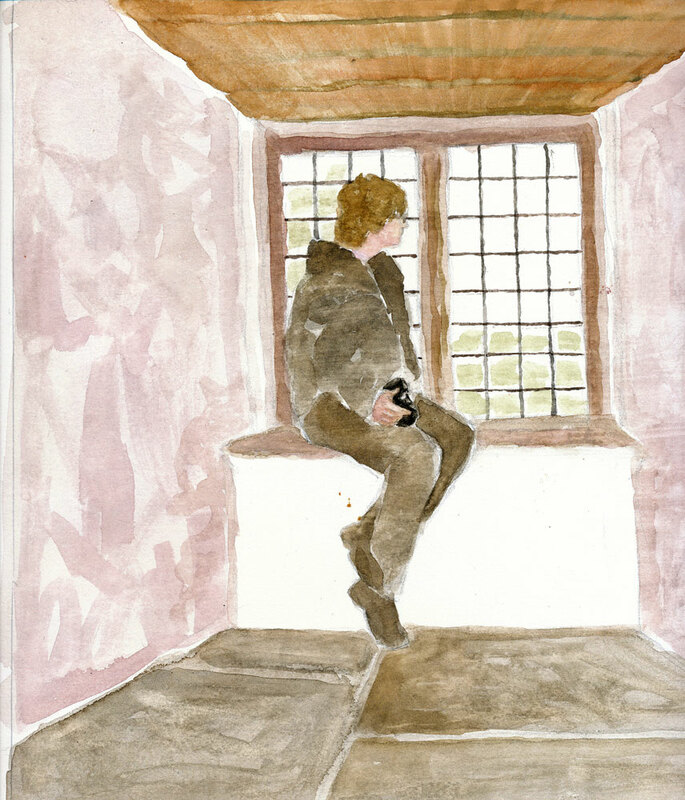 It’s an under-painting (work-in-progress) of my friend Yvette sitting in the window of Cahir Castle in Ireland. I’m working from a photo, but I don’t like to trace. I drew the image lightly and erased as much of the line as possible before beginning to work in the watercolor. This piece, although small, will take a little more time because I don’t want it to have that cut-out look. Sometimes staying loose is harder than working tightly! This entry was posted in Uncategorized and tagged Artpony, daily painting, figurative painting, Linda Kay Thomas, Linda Snider-Ward, Louisiana artist, Second Saturday artist, small paintings, the River Gallery, watercolor, watercoloring daily. Bookmark the permalink.